I Have My Mortgage Offer So Why Can’t I Move? 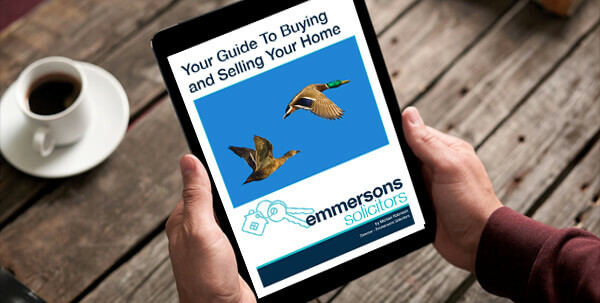 Emmersons Solicitors Conveyancing Department deals with many Residential Property matters each month. We have noticed a recurring theme in relation to Mortgage Offers. Clients mistakenly believe that an offer means all systems go and that it is therefore simply a matter of money exchanging hands. Some clients think that we are being deliberately slow or obstructive when we don’t immediately request funds from their lender and just “get on with it”. However, a Mortgage Offer simply means that in principle the lender will release monies for a purchase. Some lenders will make an offer within about a week. However, this is becoming a rare event as most are understaffed and turnaround is becoming quite slow in many cases. Imagine that you are going to lend huge sums of money to your friends Rodger and Amy so that they can buy a house? You agree to put a charge over the property ensuring that when it is sold you will receive back any monies not already repaid under the loan. In the meantime Rodger and Amy will pay you a monthly sum of interest. Sounds great doesn’t it? A nice business arrangement, you really can’t lose. You’ve even seen the house and it looks really smart from the outside. You are so excited by all of this that you merrily hand over your savings and wait for the money to roll in. What could possibly go wrong? Within months Rodger announces that he can’t afford to pay you. He says the roof has collapsed; the walls were damp thus causing Amy to develop asthma. As a result they have moved out of the property and need to use their money to rent somewhere else. They don’t really want to go back and so they will just try to sell the house in its current state and give you back your investment. Enter Steve, a property developer. No one else is interested in the house; it is on the market for the same price that Rodger and Amy paid, but with a collapsed roof. Steve is willing to offer £50,000 less. Rodger and Amy take the money; they are desperate to see the back of the house. They hand you back your money less £50,000. As they have no assets of any type in this country they emigrate to Australia. What a result for you! Now imagine that you are actually a bank. They would want to see the results of any survey. If this flagged up any major issues they would either refuse to lend money against the property or they would hold back retention and would make it a condition that the property was repaired. It is not just the physical things that you can see that a lender is interested in. Our responsibility as Conveyancing Solicitors for both you and your lender is to make sure that the legal title to the property is correct. About 10% of the cases that Emmersons Conveyancing Solicitors deal with have problems with the title or will have future problems. Consider: The right of your neighbour to drive across your lawn so that he can park outside of his own home, an old covenant in the deeds preventing you from converting the property to flats, the motorway that will be built 200 yards from your new home. It is only when all checks have been carried out and the lender is satisfied that this will be a good deal for them, that they will release monies. In reality once a mortgage offer has been received by us it usually takes six to eight weeks to complete a purchase. In the meantime we are working very hard behind the scenes to protect you and your new home.